Habit: A delicate, herbaceous, vine that grows 3-4 feet in length. It sends its tender branches up nearby vegetaion if not given a climbing support. Leaves: Alternate, with three entire leaflets. The leaflets are oblong, elliptic, or ovate. Flowers: Small lavender-rose colored flowers appear in the summer and fall. Distribution: Sandhills and open hammocks. Landscape: In the home landscape it grows in part-shade with average mositure. It can be planted at the base of a shrub and allowed to climb into it. 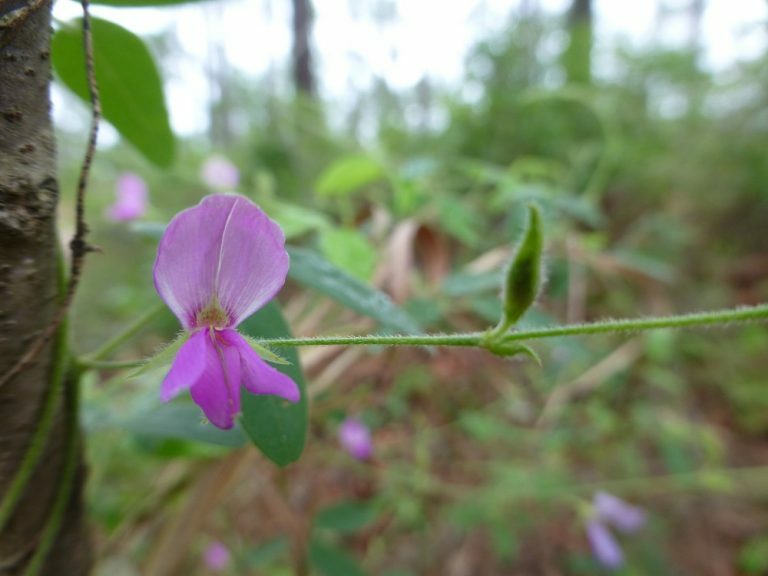 It is a delicate vine and will not harm the supporting plant. However, it reseeds readily so it would not be desirable in a formal garden bed. Wildlife use: Small butterflies and bees use the flowers as a nectar source. Songbirds and small mammals eat the flowers, beans, and dried seeds. Galactia species are larval foods for the Ceraunus blue butterfly. It grows in zones 7 to 11. It is native to the following states: AL, AR, DC, DE, FL, GA, IL, IN, KS, KY, LA, MD, MO, MS, NC, NJ, NY, OH, PA, SC, TN, TX, VA, AND WV. 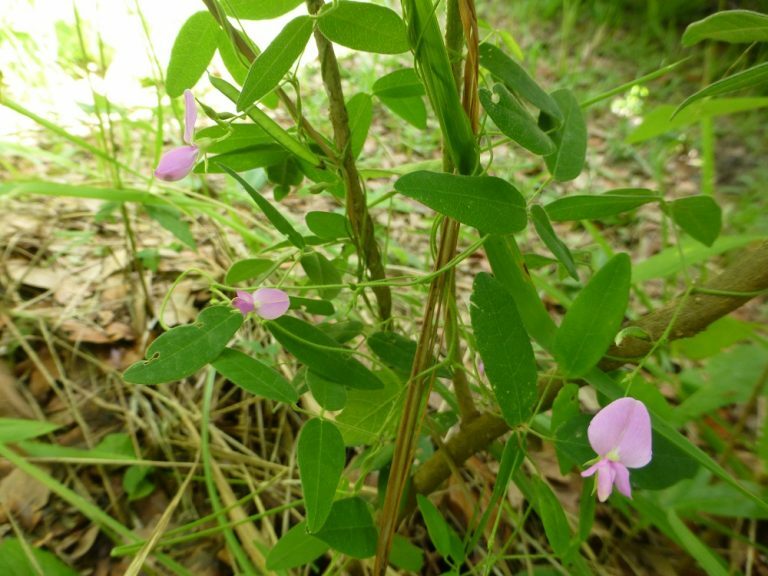 Buy Eastern milkpea seeds here!